Seattle, WA – June 6, 2018 – The Max Foundation (“Max”), an international health organization dedicated to serving cancer patients, and Tanner Pharma Group (“Tanner”), a global pharma services company specializing in access to critical medication, are committed partners in bringing thousands of patients around the globe daily access to cancer treatment. Within The Max Foundation’s patient-centered model, Max Access Solutions (MAS), Tanner plays a critical role by leading quality, regulatory and logistics to ensuring donated oncology products get to the right patient in the right place at the right time. MAS programs currently deliver 1,000,000 daily doses per Quarter. Among the dozens of countries The Max Foundation supports, many are located in Africa. To raise awareness and funds for increased treatment access on the continent, Max has created a 2018 campaign known as the Max Global Experience: Uganda. This campaign is focused on the proverbial “last mile,” which refers to the unseen efforts of patients and caregivers to make treatment truly accessible. All too often, patients must travel great distances to attend medical appointments and receive their medication. Max works to bridge these gaps by broadening its geographic reach, working with local patient groups, advocating to governments, and partnering with distribution experts like Tanner. 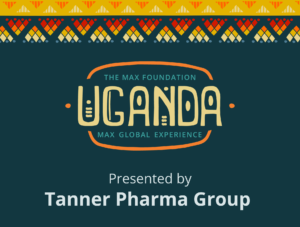 Tanner has proudly offered to be the title sponsor for the Max Global Experience: Uganda and their parent company, Bourne Partners, will match up to $10,000 in funds raised. The Max Foundation is a global health organization that believes all people living with cancer deserve access to the best treatment, care, and support. The company works to decrease premature mortality from cancer by channeling humanitarian donations of life-saving oncology products to underserved populations in countries where those products are not locally available. For more information, visit www.themaxfoundation.org. Tanner Pharma Group partners with biopharmaceutical companies and NGOs to provide turn-key solutions that facilitate access to medicines around the world. Every member of the Tanner Team believes that access to medicines should have no borders and we measure our value as a company based on the lives we improve. For more information, visit www.tannerpharma.com.